Home » Advice » Does Testosterone Help The Body to Build Muscle? Chances are if you have been reading this or any other bodybuilding website you have heard a lot of discussion on testosterone levels. Writers talk about how it is linked with better quality of life, muscle mass and energy levels – but is that true? Does it really help building muscle mass? Check out the article below for an in-depth look. Take our 30 second survey to get a suggested plan for your body type and goals . Testosterone is a hormone produced in the testes that leads to development of male sexual characteristics. However, women also produce some testosterone but not nearly as much as us men. Testosterone also plays a role in strength, muscle mass and energy levels. Without testosterone you would struggle to lift even the lightest weights and certainly wouldn’t have the energy to power through an intense workout. So what happens when you have low testosterone levels? Libido is reduced, you tend to be moodier, you lose muscle mass and gain fat. As men reach their 30s and older their testosterone levels tend to drop over time naturally which is why a lot of them look for ways to prevent or reverse the process. At this point you’ve probably figured out that testosterone is important and your body needs it – for building muscle mass, losing fat and having energy. Even women need some testosterone and this is why women who are successful athletes tend to have higher testosterone than average for their gender. Of course this discussion is all about natural testosterone that is produced in the body – not synthetic hormones like steroids that are injected into the body. People with low testosterone don’t just have a weaker body. They also have lower libido and therefore poorer sexual performance. This is why it is absolutely crucial to monitor testosterone levels as you age. If your testosterone levels are considered low – as in below normal range then yes you will have a hard time building muscle. However, once you are in the normal range you won’t naturally build muscle mass – you still need to work at it in the gym. With fat loss it’s a bit different. Simply having high testosterone levels has been shown to lead to fat loss on its own. Therefore if you want to make sure you stay lean make sure you are maximizing those t-levels. Ok so now that we’ve shown you the importance of having high testosterone levels let’s get into some detail on how you can bring your levels up. First of all we are not recommending taking synthetic hormones like injectable steroids. In addition to being illegal, these products can be dangerous, contain nasty side effects and can stop your body from producing testosterone naturally. High-quality carbs, protein and fat are all essential to a high-testosterone diet. Fats in particularly are often neglected and therefore mess up hormone levels. Remember just because the macronutrient is called fat doesn’t mean it will make you fat. In fact, saturated fat is one of the best nutrients out there to boost your testosterone levels and build mass. People who are constantly stressed out tend to have lower testosterone levels. This is because the hormone that gets released when we feel stressed reduces testosterone. As a result, if you want to boost t-levels you need to make sure you get your stress levels down or find a less stressful job entirely. Are you sleeping 6 hours per night? You need to change that to 8 hours per night as soon as possible if you want to increase your testosterone levels. Your body actually produces the most testosterone when you are sleeping – so cutting your rest time short will hurt your physique. Unfortunately people who are stressed out also don’t sleep well so this only amplifies the issue. You want to make sure you are doing resistance training to keep those t-levels up: that means focusing on compound lifts that work lots of muscle groups. Additionally, keep body fat levels low: high bodyfat levels also lead to more estrogen production which messes up your t-levels. 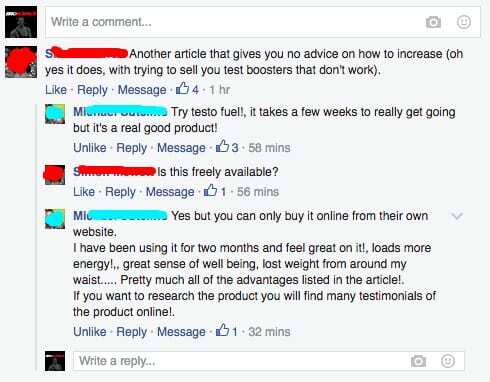 Some of you guys have been really skeptic on why we constantly talk about test boosters. I get that it might be annoying especially if you’ve never actually tried a product like that before. You’re probably just thinking “why would I even need this?”.ven need it? Right? There are certain ingredients available that support and boost testosterone levels in the body. That is a great way for natural bodybuilders to get their testosterone production up and build more muscle. There are countless of articles and information on these ingredients out there and you should do your research before buying some random ingredients that might not work. We here at BroScience have done a research on these products and we tested many of them to see which of them really worked. We made a report on the best ingredients that boost testosterone and the ingredients that are a complete waste of money. Check out our report on testosterone boosting ingredients if you are interested to find out which ingredients actually work and which do not. Here is a link to our report on the best testosterone boosting ingredients.